What challenges are insurance brokers and agents facing in Poland? How does new technology help to overcome obstacles? And finally, how does the Insly insurance software support ZZ Brokers in business growth? These are the topics we discussed with Zbigniew Zieliński from ZZ Brokers. ZZ Brokers is a company with a significant experience in the insurance market in Poland. It mainly focuses on financial insurance and tender insurance services. ZZ Brokers targets its offer mainly to businesses, but among the clients, we can also find foundations and associations.This was achieved primarily by customized insurance programs prepared by ZZ Brokers. Insurance programs arranged by ZZ Brokers is one of the things that allows them to stand out in the extremely competitive Polish market. An interesting example is the insurance program for carriers created in cooperation with the VML, a forwarding company. – My company is not one of many. 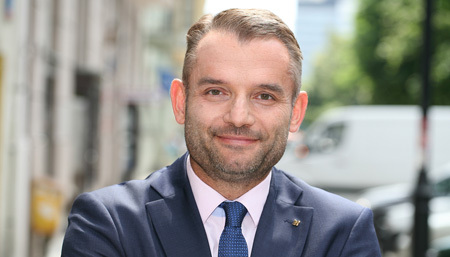 I have known the insurance market for over 20 years, I was the Vice President of the Management Board of many companies, that’s why my knowledge and experience are the biggest assets of my company – says Zbigniew Zieliński, the owner of ZZ Brokers. The year 2018 will be extremely important due to legal changes to which agents and insurance brokers will have to adapt. Are these the main challenges that await them in the coming months? – Companies operating in the insurance market in Poland face many challenges. Next year we will have to change the law in the form of the Insurance Distribution Directive or the new GDPR. These are important topics, but we do not know yet the final shape of these changes. – comments Zbigniew Zieliński. – At ZZ Brokers, we always focus primarily on business, on the company’s development. We gain customers and care for their satisfaction. It brings money. – he sums up. Demand for insurance products, and hence a greater number of duties, mean that insurance agents and brokers are struggling with the lack of time. According to the expert, this is one of the biggest challenges on the insurance market in Poland. Fortunately, new technology comes with help. The cure for the problems of insurance brokers has become the tools allowing for the automation of manual activities. – Our agency company uses the Insly insurance software. Thanks to this, we can manage policies or calculate commissions in a simple and effective way. Do the functionalities of the insurance software clearly translate into the development of ZZ Brokers? – The biggest benefit of implementing the Insly system is time-saving. Insly insurance software allows us to automate repetitive activities that are every day in the work of a broker or insurance agent. Insly facilitates, among others creating reports or reminds you of the impending policy renewal date.